Offers immersive free moving VR experience. Designed with intuitive controllers that offer great battery life. Users can enjoy solid selection of classic games. Head tracking feature added that provides stunning experience when compared to Oculus Rift. Set task is quite complicated. Buggy software can spoil experience. Demands lots of space in your VR room. It handles 1200x1080 resolution type AMOLED screen. Can work impressively if you have a powerful gaming PC. Advanced HTC vive controllers available for each hand. Comes with two tracking sensors. Offers Bluetooth for easy phone connectivity. There are so many things to discuss about HTC Vive but let us first collect some valuable information about its headset. Developers have designed this headset with highly comfortable material that provides soft touch to user. The memory foam-esque type construction is added to edges so that all skin irritation issues can be avoided even after long hour usage. The Velcro addition further provides easy switching options between materials. Users can definitely enjoy wide and thin fit options with uniquely shaped faces. You will definitely love its matte black color; people use to say that no VR headset has been designed with such an impressive look till date. It is equipped with sensors at outer portion and they assists in easy connectivity with base stations so that your tracks can stay tuned over entire virtual space. The added head strap serves with quality weight adjustment options so that you do not feel it much heavier on your face. Velcro makes this strap adjustable with a little dial that is attached to one side of headset. All these arrangements make this headset comfortable enough for routine usage and you can definitely enjoy long hour gaming experience without any complaint. HTC can manage all signals transferred from headsets while handling two additional handheld controllers. 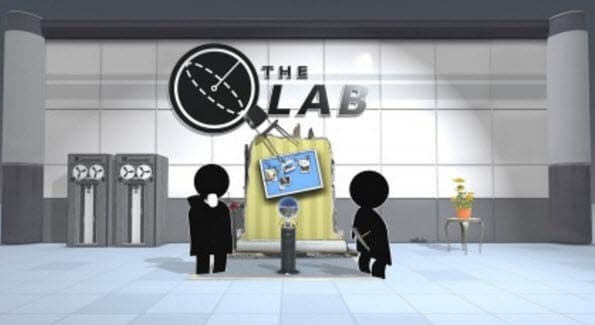 You will find these controls quite similar to those offers by Xbox One with its Oculus Rift but there is no doubt to say that this collection is versatile enough with impressive options to stay connected to the stunning virtual world. These controllers possess trigger options along with well designed touch enabled circular panel whereas a range of physical buttons having build in sensors make virtual space tracking much easier. These advanced sensor units make users enable to establish direct connection with virtual world; this is definitely an outstanding experience for all users and no one can describe it in words. Although, HTC has added great efforts to make this Virtual Reality module and it serves users with incredible VR experience but still one major drawback is reported by users. The whole arrangement is wired; if it could be wireless then it could be much easier to manage even for beginners. Many users have suffered troubles with this wire based complicated setup arrangement; these wires can even get damaged with little mishandling. HTC is given a try to improve this problem with its added camera arrangement that can be easily toggled on or off. With this high quality camera unit, you can easily observe the physical world while enjoying incredible experience over Virtual Reality. HTC has also added heavy duty cable to its design that makes usage much complicated. Especially when you are working with highly interactive games that demand continuous movements then this heavy duty cable can disturb your moves. 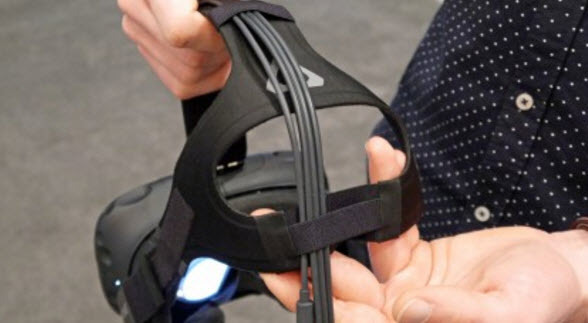 However, it is well understood that wireless technology is quite expensive and it is little difficult to design light weight VR headsets but it is also difficult to manage movements within limited VR room space. When you are enjoying with a robot in your VR world and suddenly a wire catches you from real world then it will definitely ruin the whole magical experience. The great news is that HTC has recently announced a wires VR headset for near future that can allow gamers to enjoy joyful moves. Further, it is also expected to get a pocket friendly version of VR headsets; hope it will be with us by 2017. 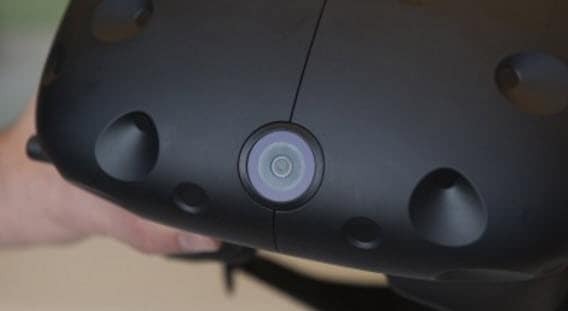 HTC Vive is designed with a high resolution display that offers 1080x1200 content quality; further, its well designed headset makes viewing experience more wonderful. The 90Hz refresh rate ensures smooth video feed whereas combination of 70 advanced sensors make tracking task much easier in your VR room. It can easily track your head movements up to 1/10 of degree range that means it can immediately respond to smallest movements. HTC vive comes with two base stations that offer impressive tracking facilities in a space of 15x15ft. It enables users to have trouble free movements in whole tracking area so that they can enjoy incredible gaming experience with ease. Once you receive your HTC Vive box then you may have to install few setup specific software tools. They are easily available on official website of vive and you simply need to follow on screen instructions to complete the procedure. The guide will help you to get setup for all components one by one, including controllers, base stations etc. You also need to install special software for your PC and a SteamVR platform is also required along with Steam. Most of the gamers face one common issue with HTC vive setup and that is related to base station placement. It is really difficult to decide about which location will be suitable for particular base station. But the best thing to know is that Vive base stations are well screwed into tripods and they have light stands that help them to fix at any suitable location with ease. You can easily adjust them on different angles with adjustable height and position parameters. HTC has impressively combined so many potential titles with it: Job Simulator, Fantastic Contraption and Virtual Puzzle etc. You will also be able to enjoy 3D painting and Google’s tilt brush. All of these collections can provide you stunning VR experience. You may find troubles due to wired system that cause noticeable delays but still the advanced system of VR can provide you intelligent tracking support for whole VR room. All the demos as well as games that you will play on HTC vive will offer great levity with crazy firefights, low stress romps and lots of casual moves. You can also have the real horror experience with its stunning crystal clear impressions. Overall, Vive offers versatile performance for all VR needs without causing any motion sickness issue. HTC Vive demands a powerful PC that can handle its advanced controls with ease. HTC recommends getting this VR module installed over an Intel Core i5 4590 system or any other with equivalent features. Prefer to get a system with 4GB Ram, AMD Radeon R9 290 GPU or NVIDIA GTX970. These requirements are almost same as that of Oculus demands from its users. It is definitely difficult to decide. If you have enough budgets then you will definitely find wide range of options in market. Get Vive with investment of $800, Oculus Rift is priced at $600 and many more brands are available in market. There is no second opinion about quality of HTC Vive; you will definitely appreciate its technical capabilities. Note that, at the same time you have to think about comfort too as you will be wearing headset for hours so it must be trouble free. In terms of comfort, professionals rate Oculus Rift as best VR model. HTC Vive is capable enough to provide fantastic VR experience with its rich controllers and impressive sensor units. The 90Hz display serves users with smooth viewing experience. For PC Gamers: You definitely need a powerful system to run HTC Vive setup otherwise you may face unmatched standard issues. For Casual users: There is no doubt that it can offer incredible VR experience but you have to think about price tag as well as required time to time upgrades. For first time users: If you have not yet used VR in your life then you will definitely go crazy with HTC Vive but yet you have to mess us with the set up and learn tricks to manage VR room.